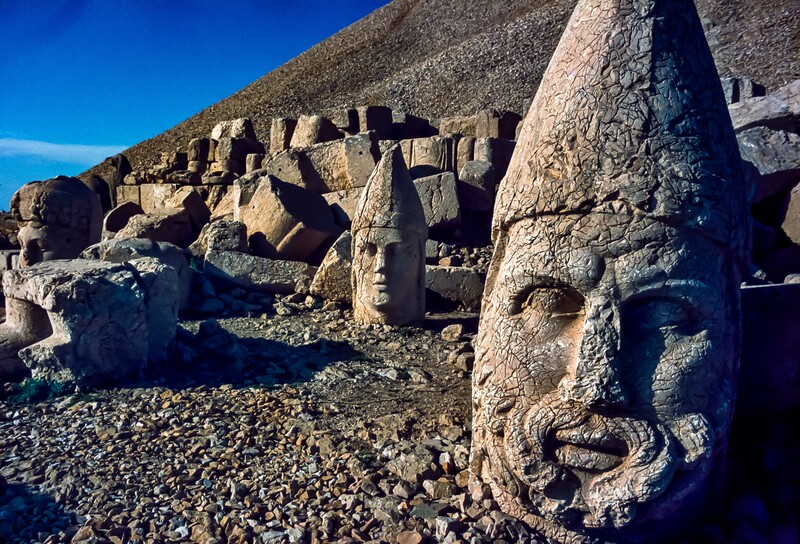 Turkey, Mt Nemrud, 1984 - One of the most interesting historical sites I have seen is Mount Nemrud in central Turkey. One of the things that made is so fascinating was that it was out of the way, a place I had never heard of. Gigantic heads of Greek gods lay on the ground, fallen from their original position atop the stone bodies to which they belonged.